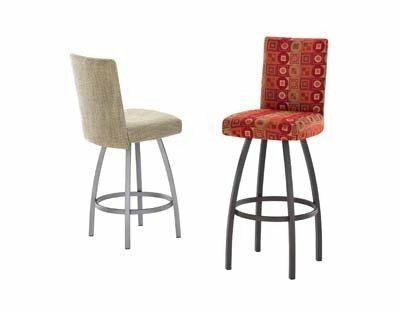 The Nicholas Series is extremely comfortable by Trica Barstools. Because the fabric covers the entire seat you can be very specific with the type of aesthetic you would like to achieve. In addition, optional Memory Swivel will return the seat to its original position once you stand.